There is nothing better than seeing trees flaunt fragrant flowers and green, glorious leaves in spring! 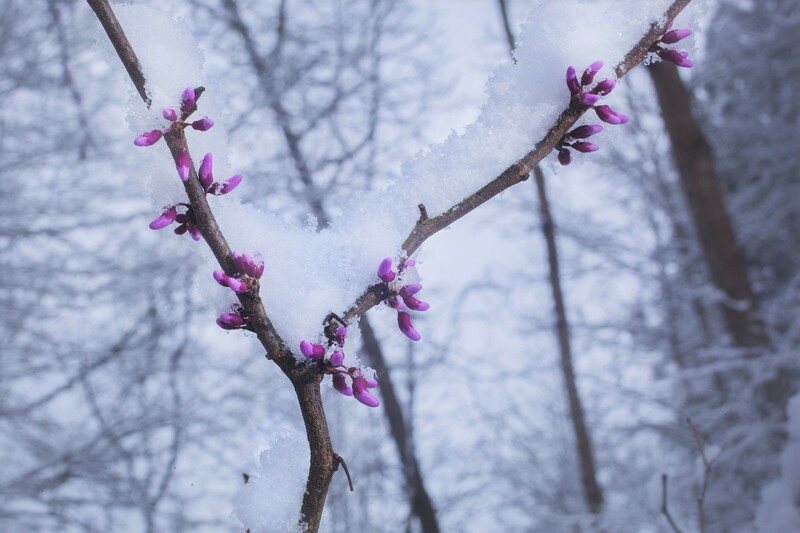 "With the late season winter storms we've seen across much of the country, we've been getting lots of questions from those eager for spring to arrive," says Josh Leo of Davey's North Detroit office. So, when will trees sport their fresh, new look? While there's no set date for trees to bud, we can use clues to predict when trees typically leaf out. When will my trees likely get leaves again? "There are two ways trees know when to wake up in spring," says Leo. First, they respond to noticeably warmer days after a stretch of cold temperatures in winter. At the same time, they react to a change in light duration, when shorter nights and longer days of sun exposure spur new growth and development. See below for when trees typically leaf out and bloom in your area. "But remember," says Leo, "if there's unusual weather in your area, like a mild or severe winter, trees may bloom sooner or later than this." Leaf Out Dates in the Midwest: Expect tree bloom in the Midwest when warmer temperatures get on a steady schedule, around mid-April. Leaf Out Dates in the Northeast: Northeastern trees are adapted to take extra caution when it comes to spring bloom since it can be devastating for leaves to be shocked by a sudden freeze. Because of this, trees in the Northeast bloom in late April to early May. Leaf Out Dates in the West: Western tree bloom can vary widely. From coastal California to mountainous Colorado, trees are exposed to a number of different climates. Expect western trees to bloom fully by early May. Leaf Out Dates in the South: Trees native to the South are well adapted to the region's warmer weather, so they don't stay dormant for long. Trees in this region bloom as early as mid-March. My tree got buds early – and then got covered in snow! Will they be okay? When the dormant season is interrupted by unseasonal elements, trees begin to grow as though spring has arrived. They start sprouting leaves, flowers and fruits – no matter how short the resting period was. Early blooming can be extremely stressful for trees, especially if temperatures are mild one day then plunge the next. When this happens, new growth is shocked by the sudden freeze and could be damaged. Fruit and flower buds are especially vulnerable. If they're hit by cold temperatures after flowering, they may not be able to bloom again later in the year because they've already exerted their energy. 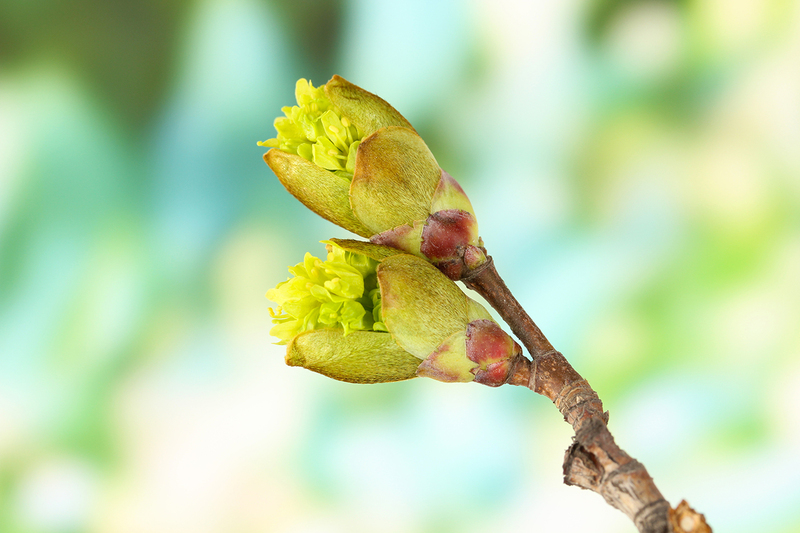 Leaf buds are more likely to bounce back. But they may experience less growth or leaf problems, like leaf drop or browning. Though, as spring weather stabilizes, you want to get out and inspect your trees to make sure all is well. To schedule a tree checkup this spring, reach out to Josh Leo, or the Davey arborist nearest to you, for a 100% free inspection. With more than 9,000 employees throughout North America, The Davey Tree Expert Company provides solutions for residential, utility, commercial and government clients. Rooted in research, the company's vision is to achieve balance among people, progress and the environment. Tree experts since 1880, Davey provides diversified tree services, grounds maintenance and environmental services. Davey is one of the largest employee-owned companies in the U.S. and is headquartered in Kent, Ohio.